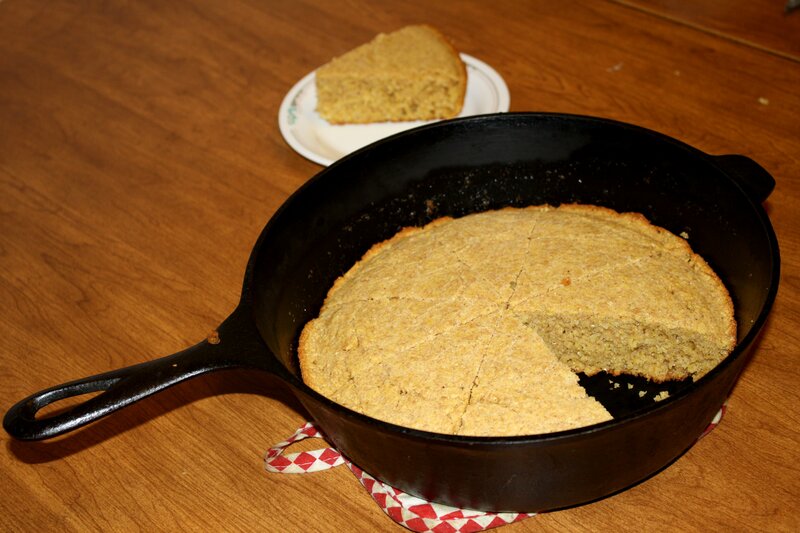 Free high resolution photo of cornbread baked in a cast iron dutch oven. The cornbread has been sliced and you can see one slice sitting on a plate behind the cast iron skillet. This photo is free for any use.